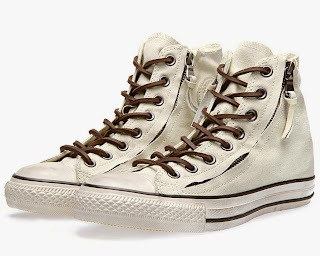 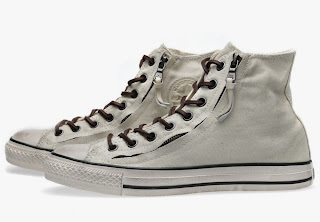 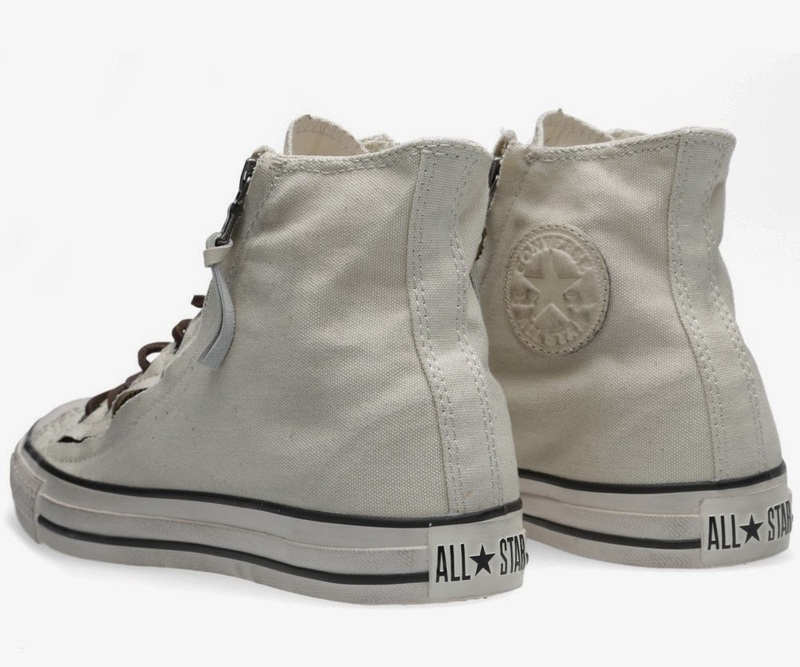 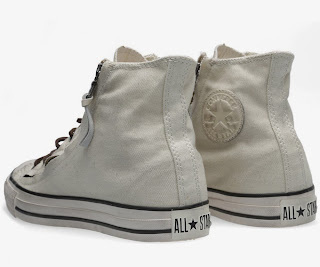 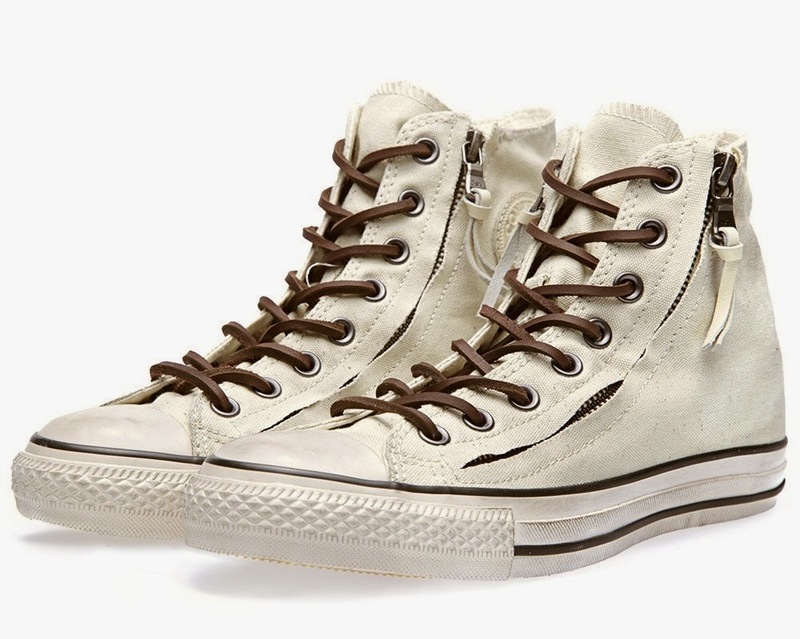 Working in collaboration with New York based menswear design John Varvatos Converse have created this new take on their classic Chuck Taylor Hi. 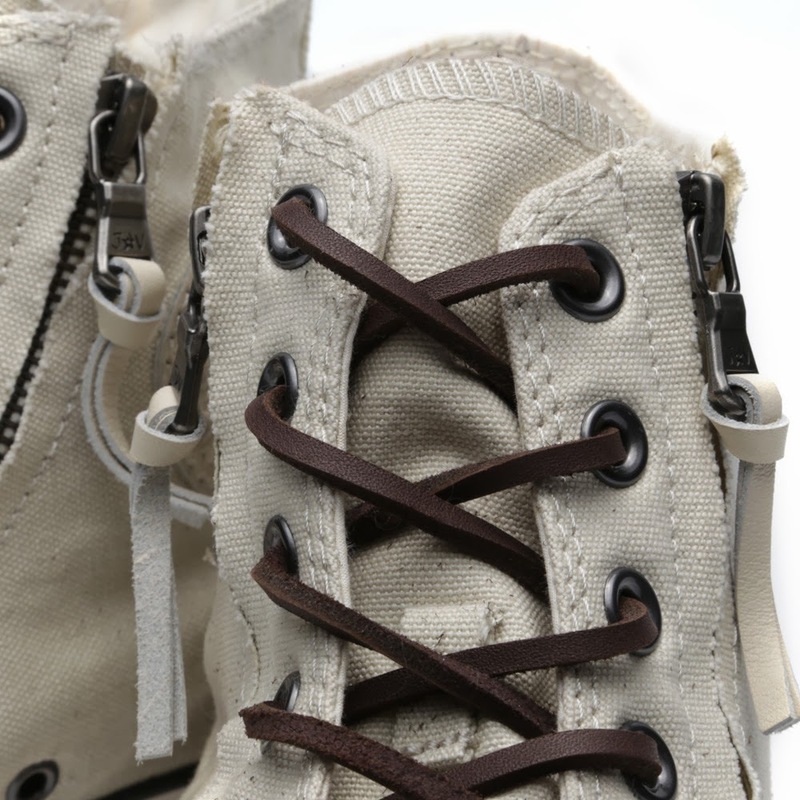 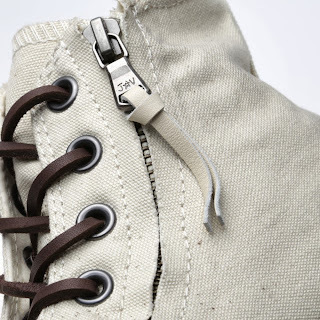 Constrcuted with zips on either side of its leather laces, secured in place by antique style eyelets, the Chuck Taylor Double Zip Hi features a vintage effect midsole and classic canvas uppers. The attention to detail on offer is second to none, with a tonal leather logo patch at the heel, branded zips with leather pulls and a pinstripe cotton lining all sitting on top of a translucent outsole.